Working for both domestic homeowners and commercial businesses we guarantee the widest range of flooring from the leading manufacturers worldwide from hand woven bespoke rugs to practical commercial vinyl; we have the ideal floor covering for any requirements. Our huge choice in floor coverings come from the very best manufacturers in the world guaranteeing the finest materials features and designs for you to choose from. Our installers have decades of experience between them each is employed full time to work exclusively for us and they carry a range of qualifications with the team including specialists such as carpet fitters and real wood flooring installers; guaranteeing you outstanding quality of installation. Our customer service approach goes above and beyond; we never leave a customer unsatisfied ensuring a stunning finish disposing of old floor coverings and leaving your property tidy and clean. Once you know what you want, just leave it to our experienced installations team to take care of the rest. With 20 years of experience fitting carpets, woods and laminates we guarantee a finish of the highest standards. Professional, friendly and employed full time so they only work for us our installers are some of the best in the South East. Keeping a tidy work site, disposing of old floor coverings and ensuring excellent communication you won't find better customer service anywhere. 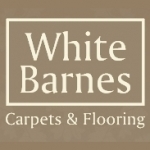 We're proud to work with many famous business names including Cadbury's Electronic Arts, Harley Davidson, Café Rouge, Ramada Hotels and Virgin Record Stores, who all know they can rely on us to get great product installed by professional, experienced fitters exclusively employed to White Barnes. Fully compliant with health and safety requirements and always working hard to minimise the disruption to your business, you can trust us to find you a floor which will really last.